Apostolos Vetsikas, was born in Thessaloniki, Greece, on 23/12/1987. He holds BSc. in Economics and MSc. in Applied Economics from the Department of Economics at the University of Thessaly, Greece. He holds MSc. in New Entrepreneurship, Innovation and Development from the Department of Planning and Regional Development at the University of Thessaly. 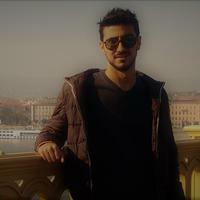 He is PhD Candidate in the field of economics of innovation at the Department of Economics, University of Thessaly (Greece) since 2018.